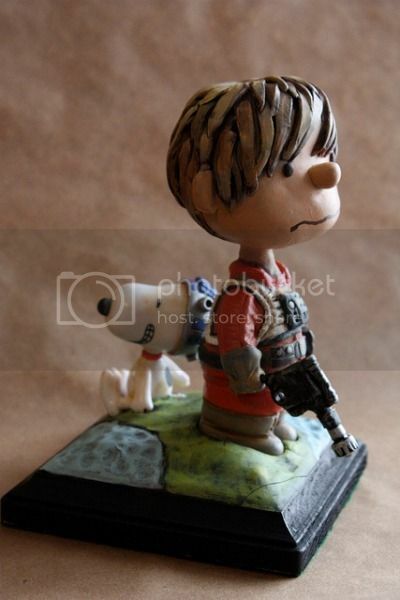 When I saw these beautiful Peanuts/Star Wars figures by Tom Torrey (Etsy store), I invoked one of the many rules-of-thumb by which I live, which is: If something can be mashed-up with Star Wars, somebody’s already done it. And, of course, I’m right, again. (Well, hello, familiar feeling!) Behold the Peanuts/Star Wars fan film, Beagle. Via Super Punch, who will cast Lucy as the Emperor in the feature-length film. And she will be perfect.